After hours drink with your co-workers? 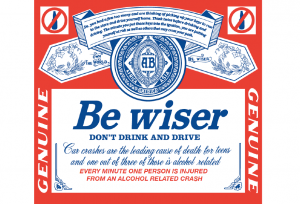 DRINK WISER. Heading out with your “buds” to your favorite pub to watch the big game? DRINK WISER. Party on the deck for your birthday? DRINK WISER. 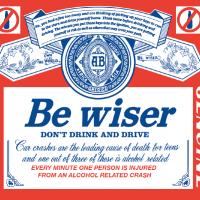 Your friends from Budweiser and United Beverage in South Bend encourage you to DRINK WISER and choose a designated driver first. Remember, Responsibility has its Rewards ~ when you don’t drink and drive. This message a service of: Budweiser, United Beverage, State Farm Insurance agent Tim Grauel and Z94.3.